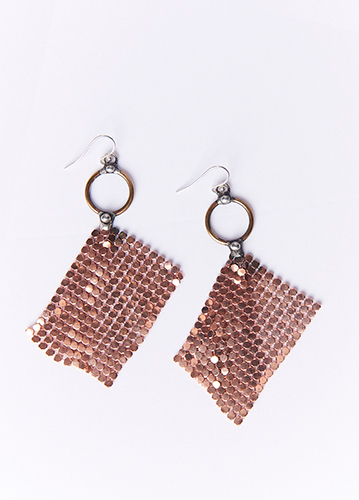 Chain Mail earrings in Rose colored mesh are handmade by California artist, Mikal Winn. Hook in ears, dangling mesh drape to form triangular shape. Brass metal.